As summer approaches here in the US, two machines that were announced at the Winter CES event are now available. The MakerBot Mini began shipping two weeks ago, and 3D Systems’ Cube 3 was set for late June deliveries with preorders now. 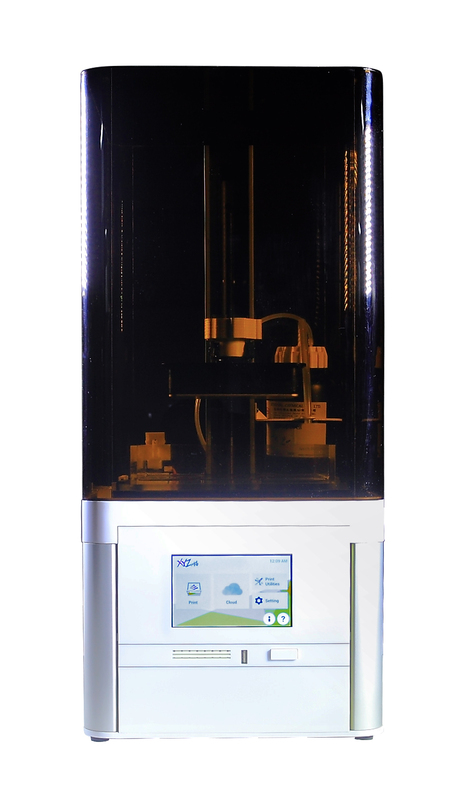 The third generation Cube claims a layer resolution of 75 microns (.003″) and prints in ABS or PLA in two materials / colors at once. The exciting thing about this machine is the new filament delivery system, with nozzles attached to the print cartridges. The price of the cartridges is the same as the previous Cube 2 model, but it isn’t clear if they contain the same amount of filament as before. WiFi remote is still included but now there will be an iOS and Android control app too. I plan on posting my personal experiences with both of these machines in early July. The Mini uses PLA only, but you can source your own filament. The Cube requires proprietary cartridges, but the cartridges come in PLA or ABS with more color choices. A departure from the previous generation Cubes is that this unit changes to a Bowden-style remote extruder motor that drives the filament using an internal mechanism in the center of the new cartridge. While this technology is amazing for smaller, precision parts (like the applications mentioned above) there are downsides. The photopolymer liquid is hazardous before it is cured, and skin contact is to be avoided at all costs. The materials have shelf lives of perhaps a year. Unused material must be disposed of properly – I have resorted to small disposable trays put out on a sunny day to cure. Models must be cleaned with isopropyl alcohol to remove any remaining liquid, and depending on several factors, might need additional curing with UV light. Also, this material is eventually degraded by exposure to sunlight, and generally has lower strength and heat deflection temperatures than ABS or PLA. Supports are made of the same photopolymer, and thus are “breakaway” needing cleanup and removal. I’ve amazed some of my students by taking a small cup of photopolymer and “drawing” in it with a blu-ray laser pointer. I pour away the remaining liquid, leaving a “solid doodle” that recorded the light’s movement in the cup. Yes, this stuff cures that fast. In fact, heat is generated during the curing process, making for a small risk of fire if you get a large quantity in contact with some catalytic agent – so my advice is never use metal objects with these materials while liquid.